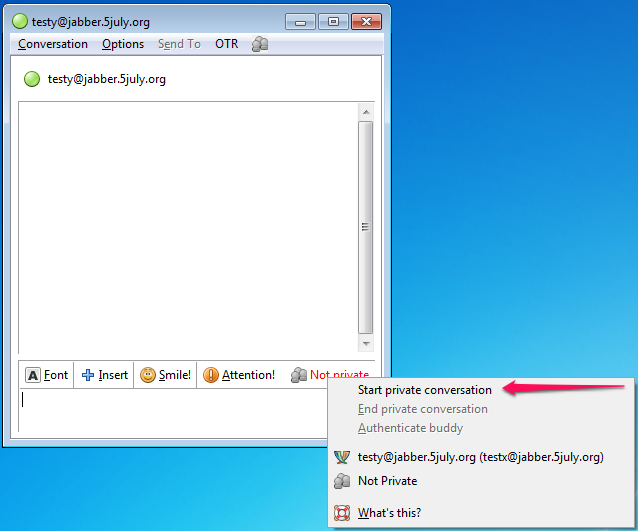 Chat safe on our Jabber server! 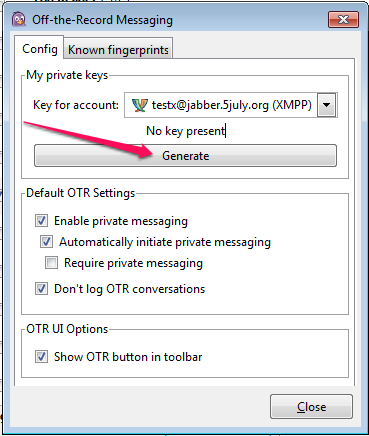 The 5th of July Foundation runs a Jabber (XMPP) server for secure chats via OTR encryption. It is free for everyone to use. 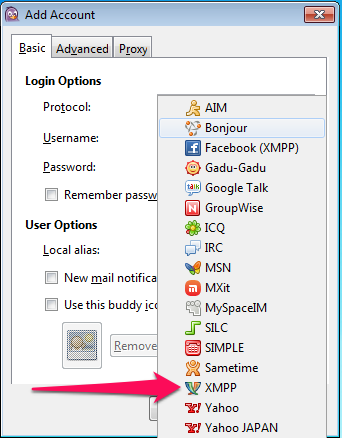 XMPP is a chat protocol, which you can use with many different chat programs. Make sure that your chat program supports Off-the-Record Messaging (OTR) which lets you chat end-to-end encrypted in the way that Edward Snowden recommends. Here is a list of programs that support OTR. In addition, the connection between your chat client and our server is SSL/TLS encrypted. 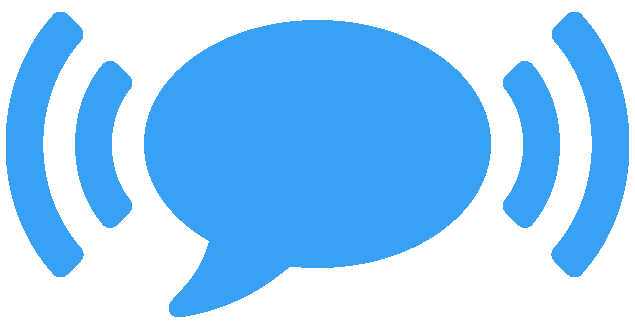 We support cross-server communication, so you can chat with a friend who has an account on another Jabber (XMPP) server. Just remember to always use OTR encryption. 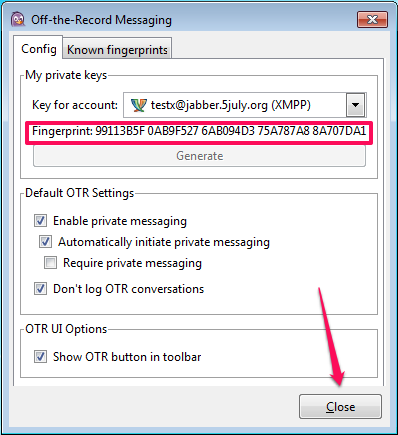 Note: Do not use our Jabber (XMPP) server for file transfer, since file transfer is not encrypted! 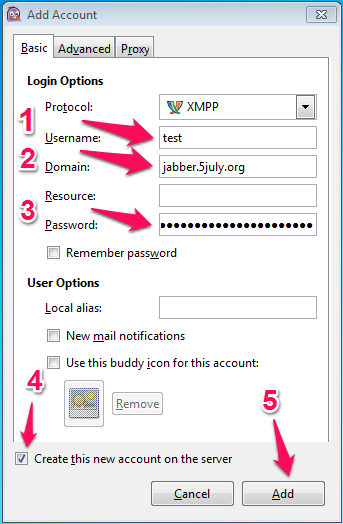 Why choose our Jabber (XMPP) server? We own the physical server ourselves (we don’t just rent a VPS in the “cloud”). The server is hosted on Swedish ground by Bahnhof, Sweden’s most resilient free-speech network operator, which also hosted Wikileaks. The 5th of July Foundation is a non-profit organization with the mission to spread Security, Privacy and Liberty to the general public. 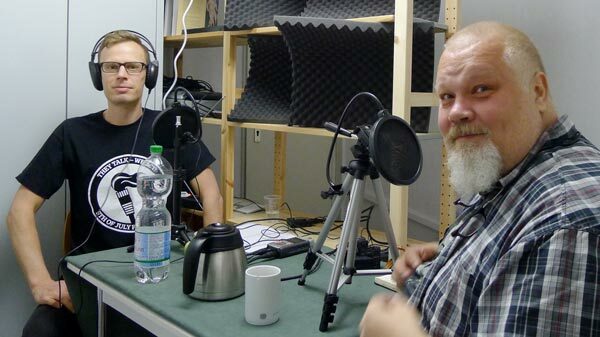 We are transparent about who we are: Internet veterans with a credible track record in the politics of internet privacy. Check us out here. Follow the instructions below to get started. You don’t even need an email address! Setting up an account is easy. 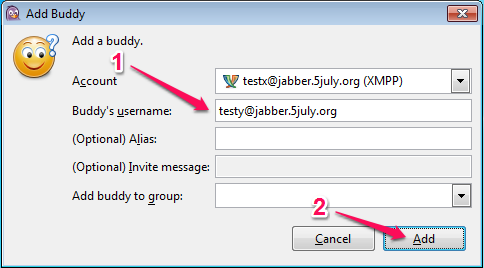 The exact process depends on the program, but in general it works like this: You choose to create a new Jabber (XMPP) account, you enter your preferred username, which must end with @jabber.5july.org and a password. Then you click on “register account” or similar. 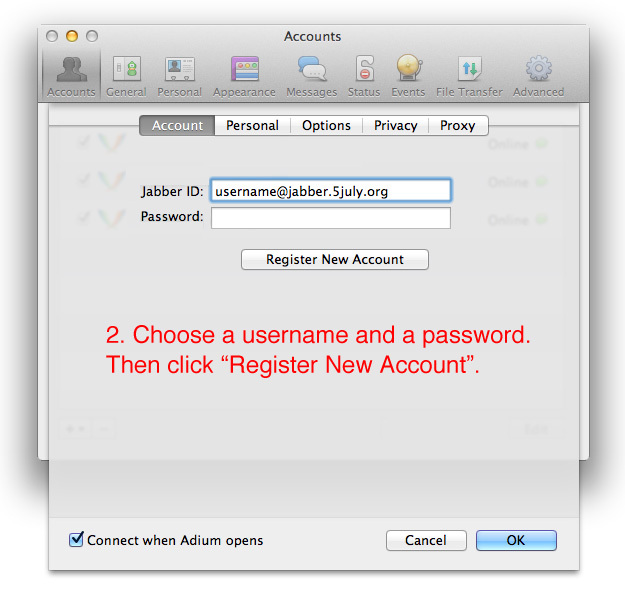 For Macos we use Adium. Download the latest version of the program at Adium.im. Choose Adium > Preferences… in the menu. Under the tab Accounts, click the + (“plus”) symbol at bottom left to add a new account. Adium supports many chat protocols. 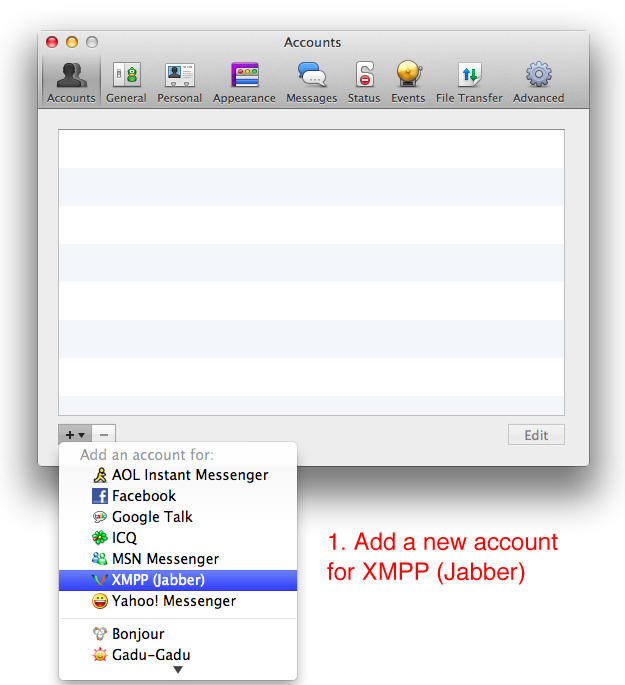 Choose XMPP (Jabber). 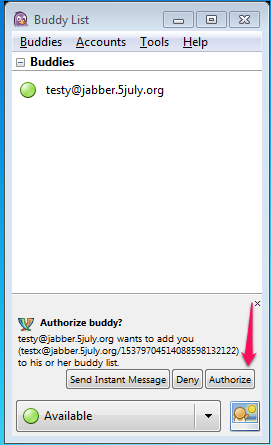 Your username should look like in the screenshot above, just change the part before “@jabber.5july.org” to something unique. (Yes, it looks like an email address, but you can’t use it for that.) Choose a password. Then click “Register New Account”. If your username has already been taken, you will get a notice about that. 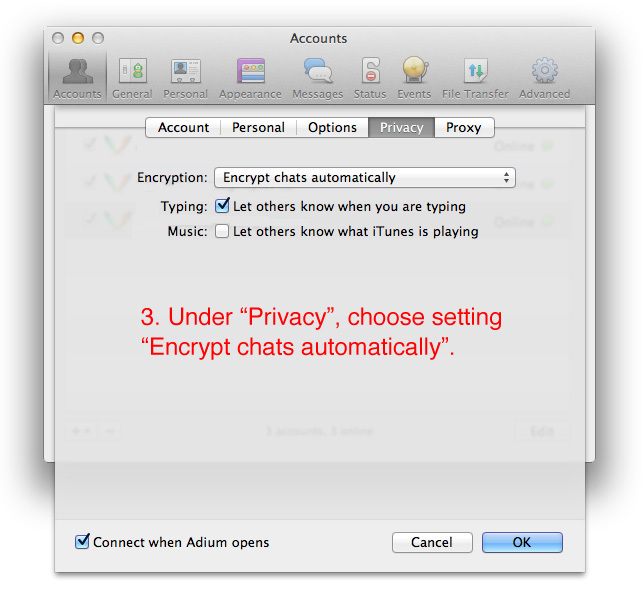 You’re almost ready, but as a last step we recommend you to choose to encrypt chats automatically. You find this option in the Privacy tab (while still in the Accounts main tab). For Windows 7 we use Pidgin. 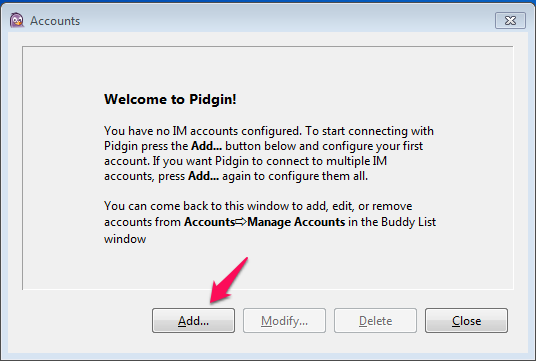 Download the latest version of the program at Pidgin.im and run the installer. You also need a plugin for OTR encryption. Download the latest version from otr.cypherpunks.ca and run the installer. 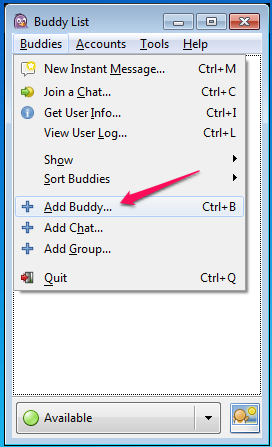 Follow the 3 steps below to start chatting: 1) register an account, 2) configure the OTR plugin, and 3) add a buddy.